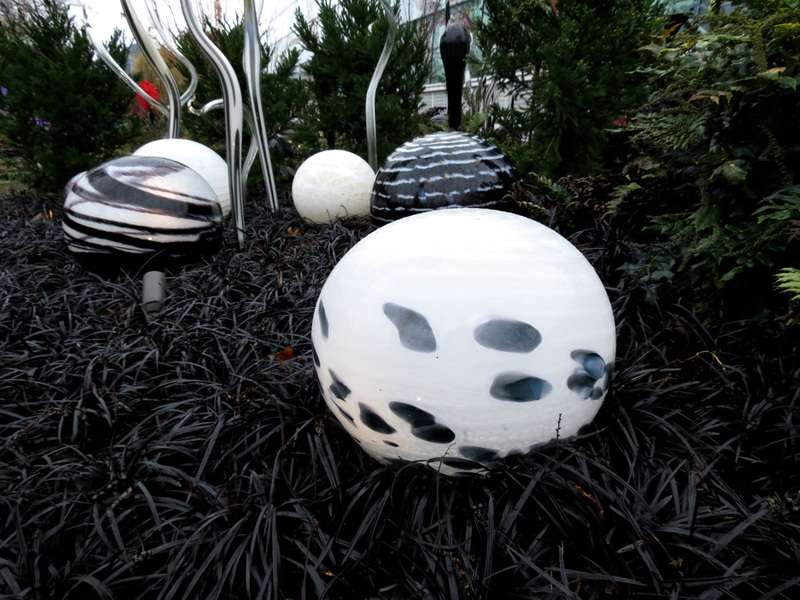 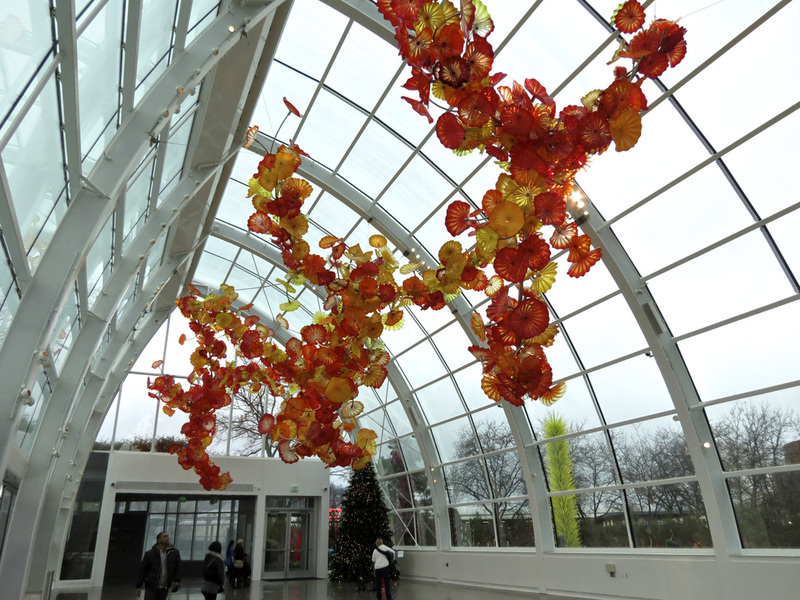 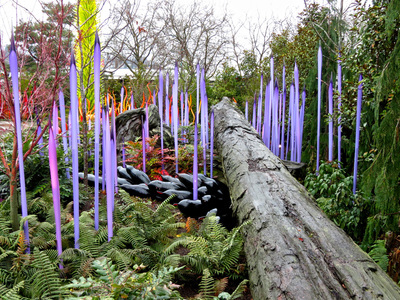 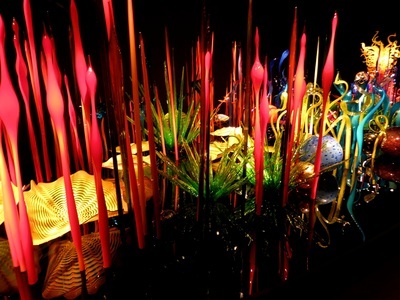 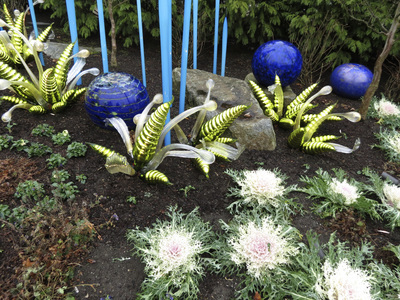 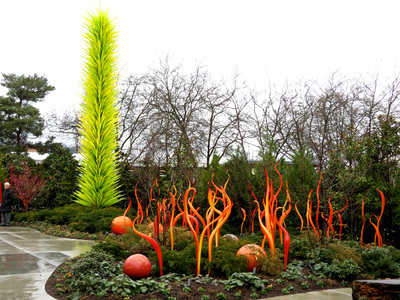 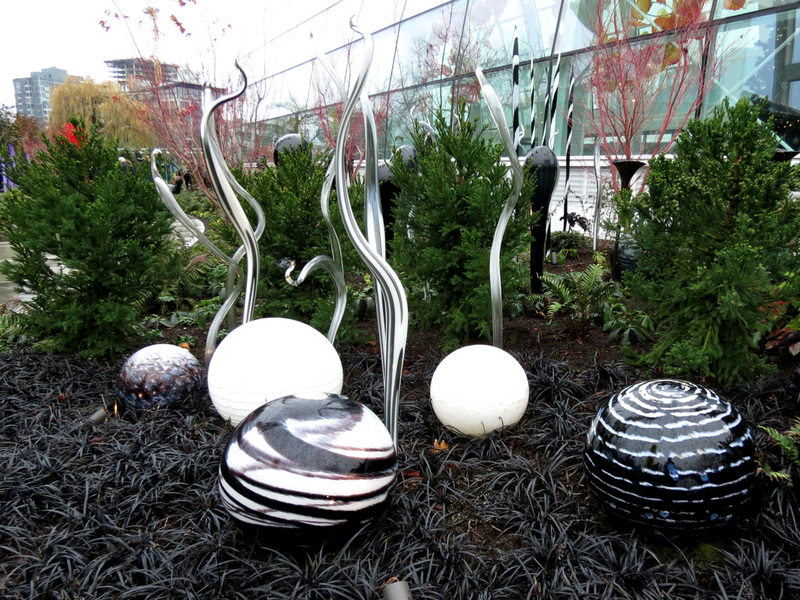 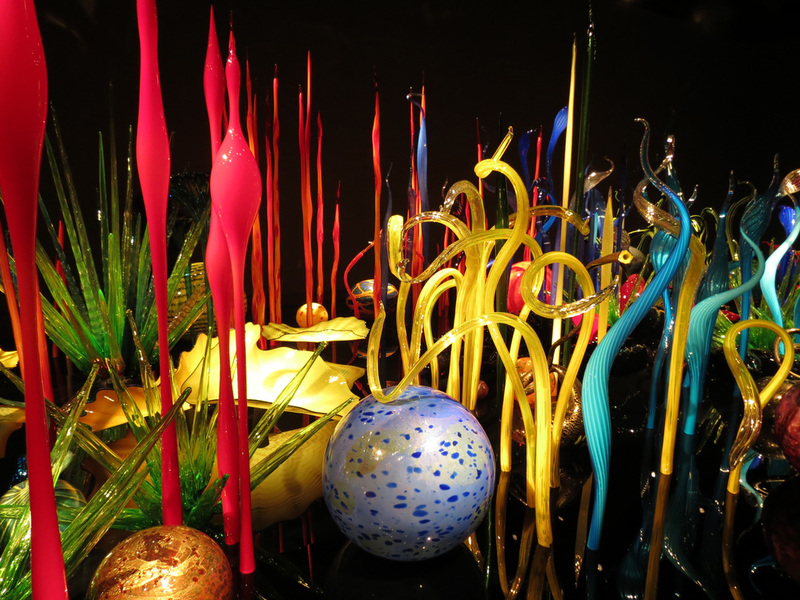 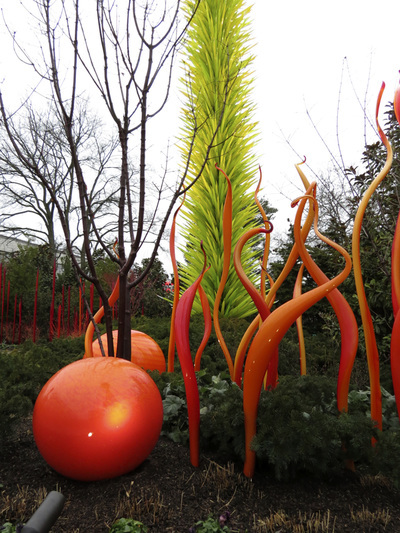 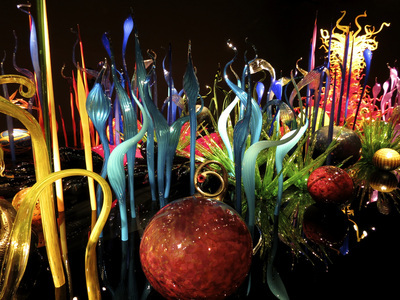 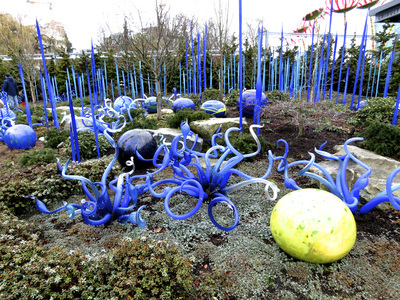 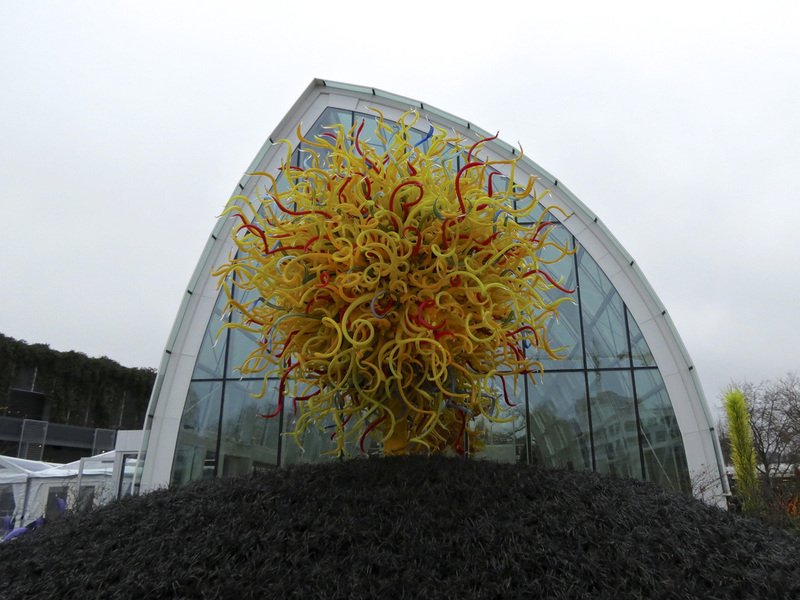 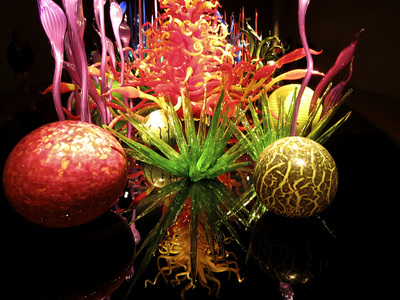 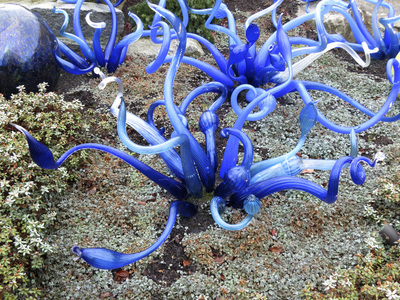 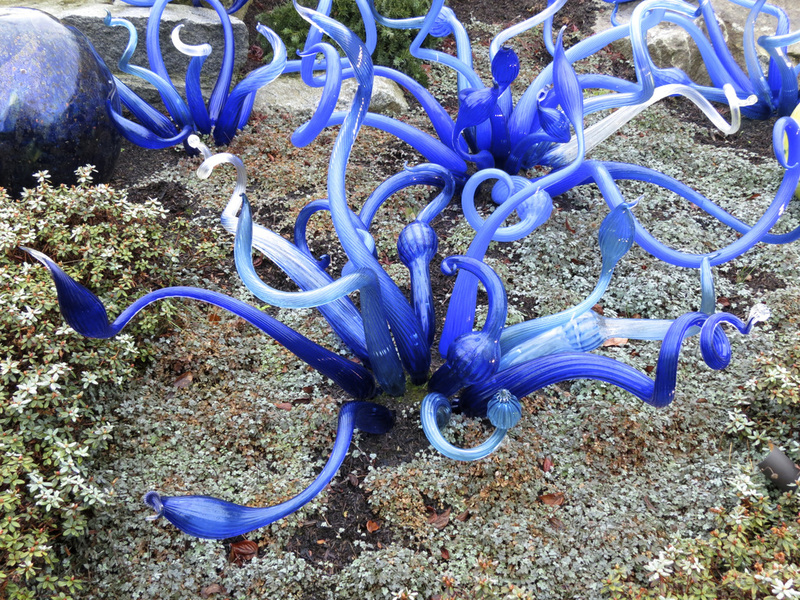 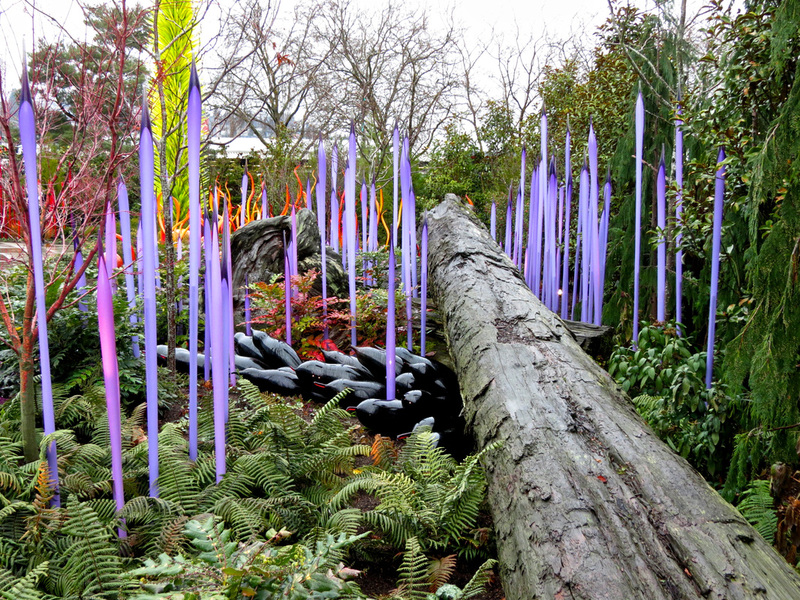 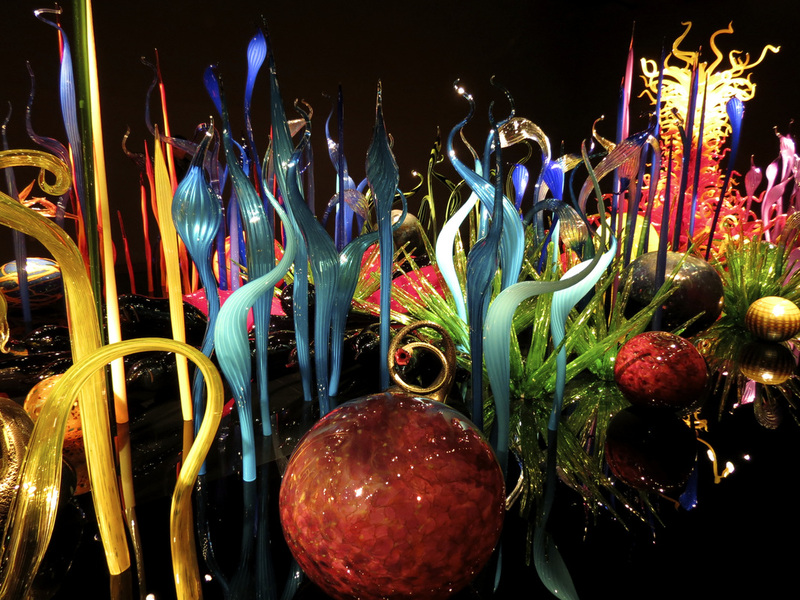 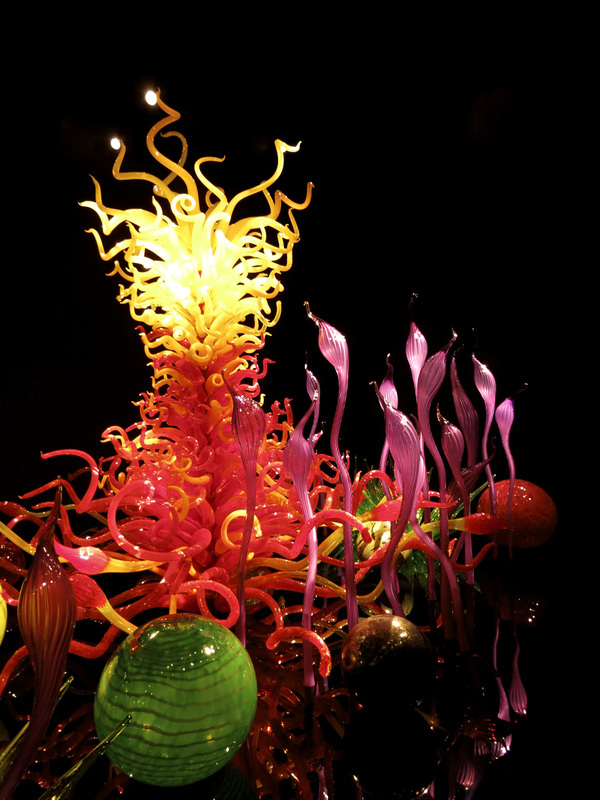 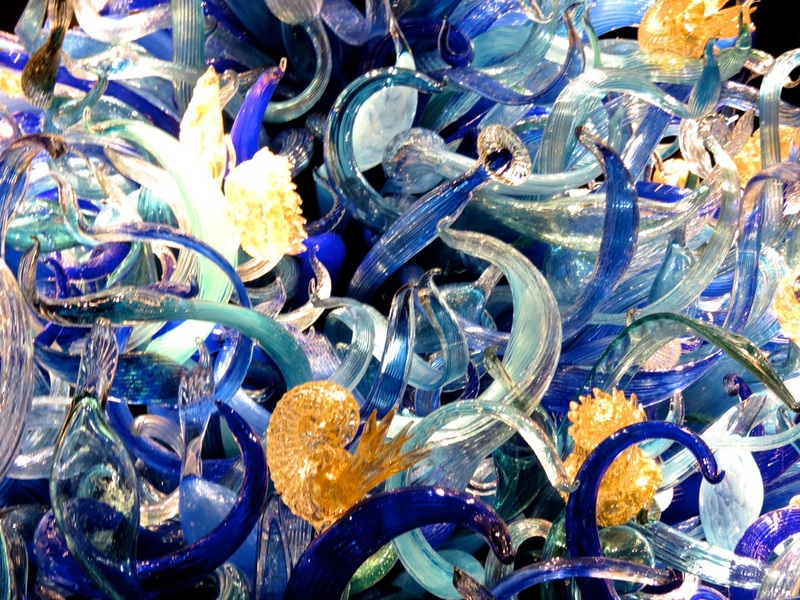 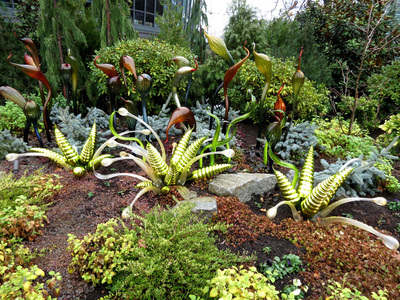 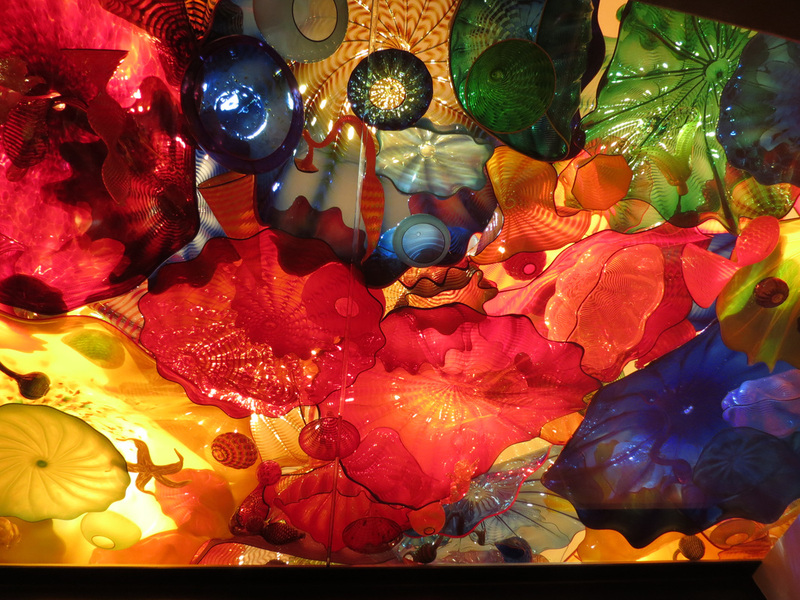 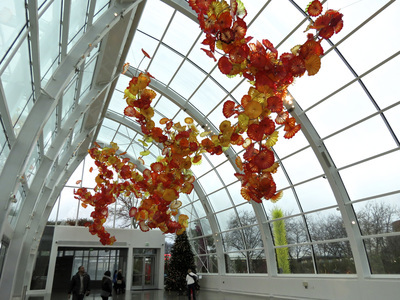 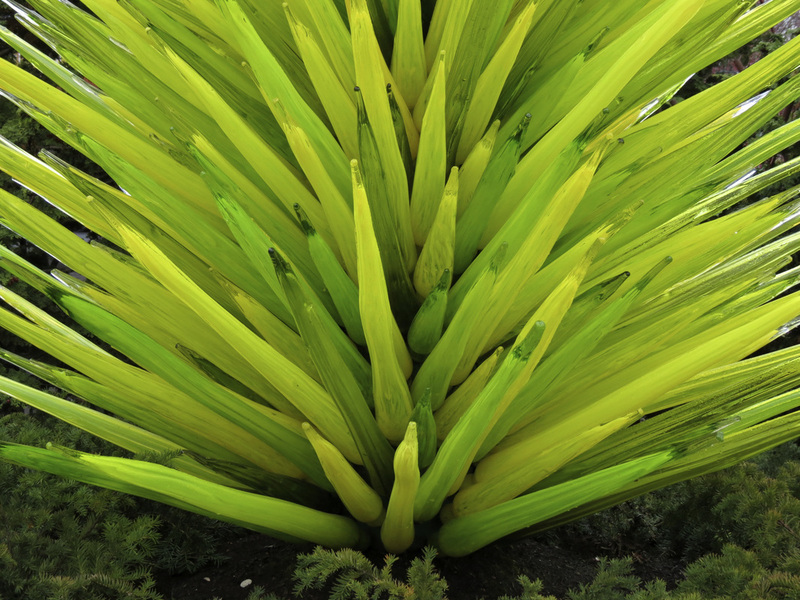 It was winter when we visited the permanent Chihuly Glass Museum in Seattle, located at the foot of the Space Needle. 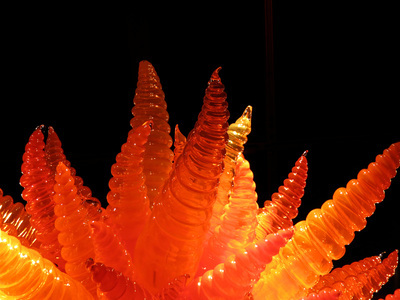 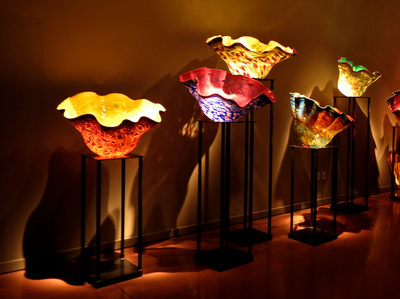 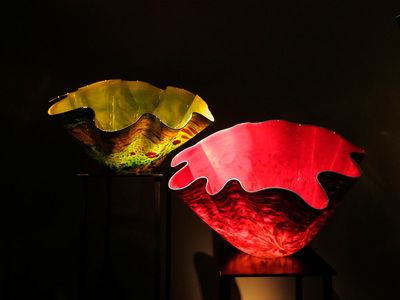 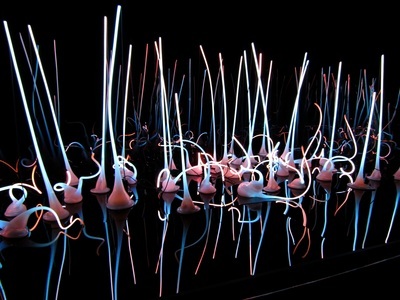 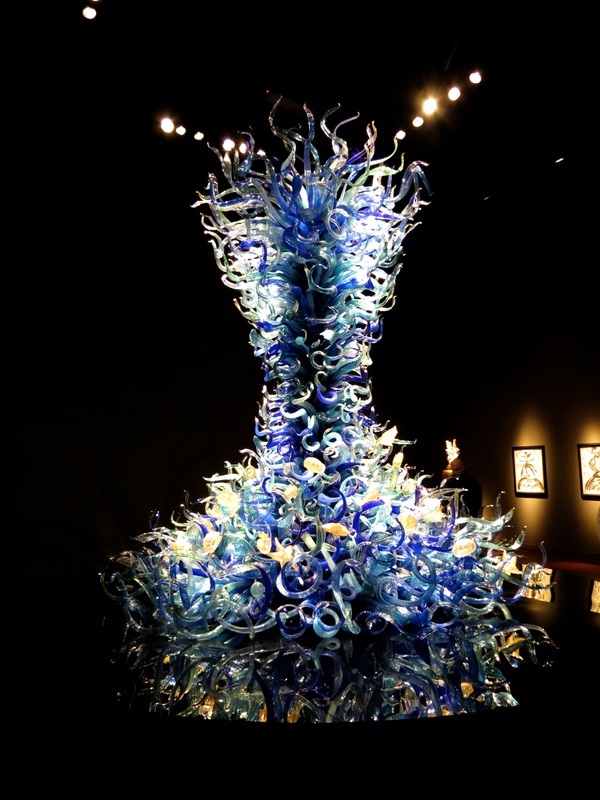 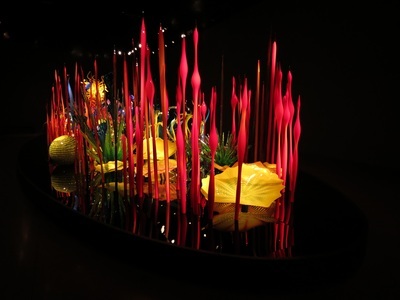 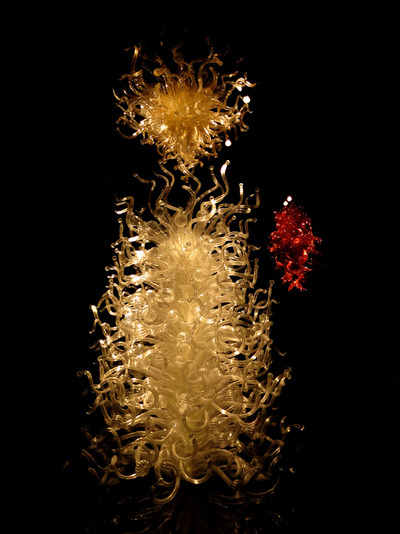 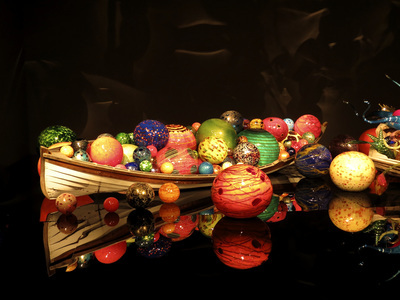 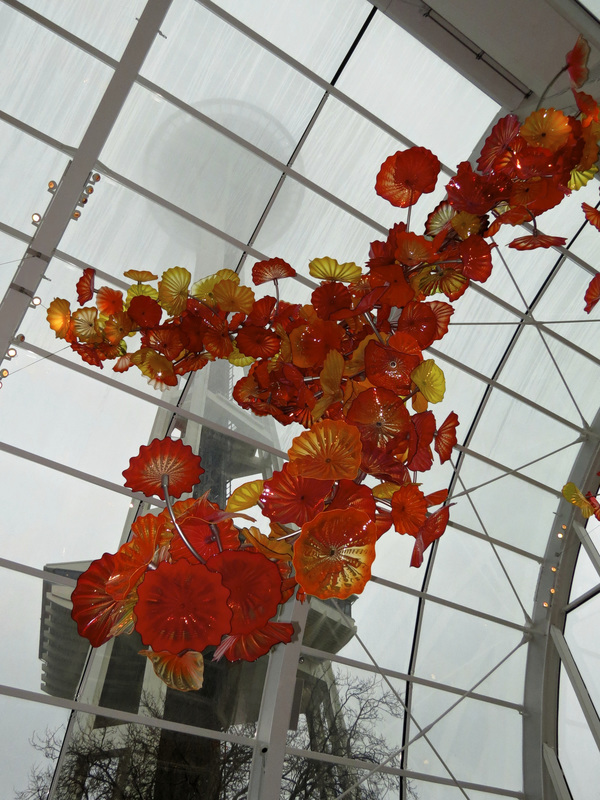 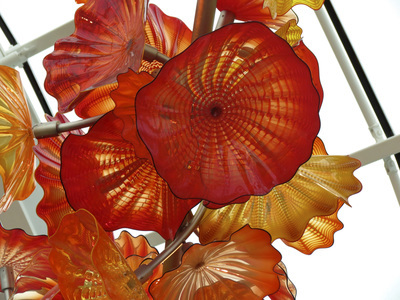 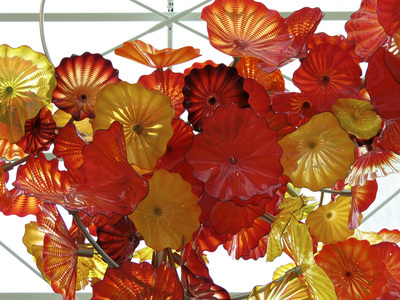 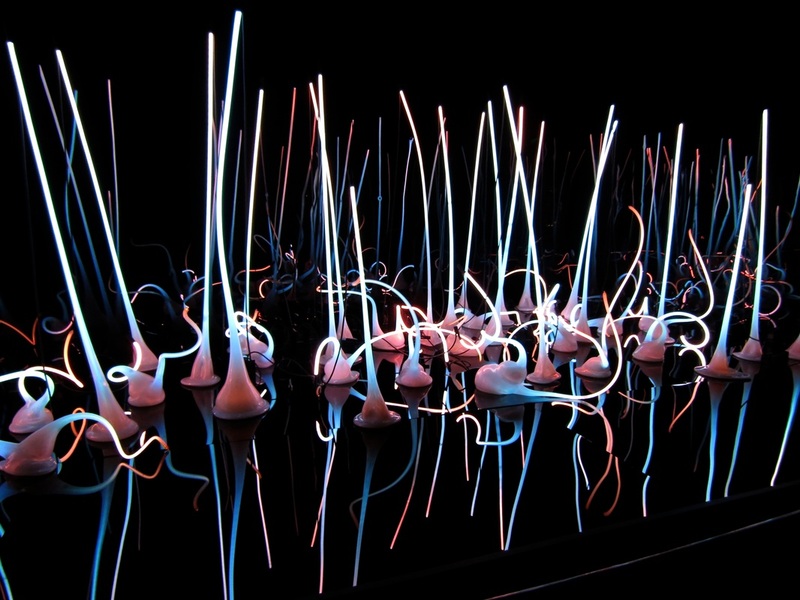 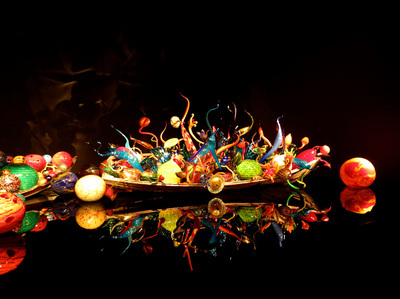 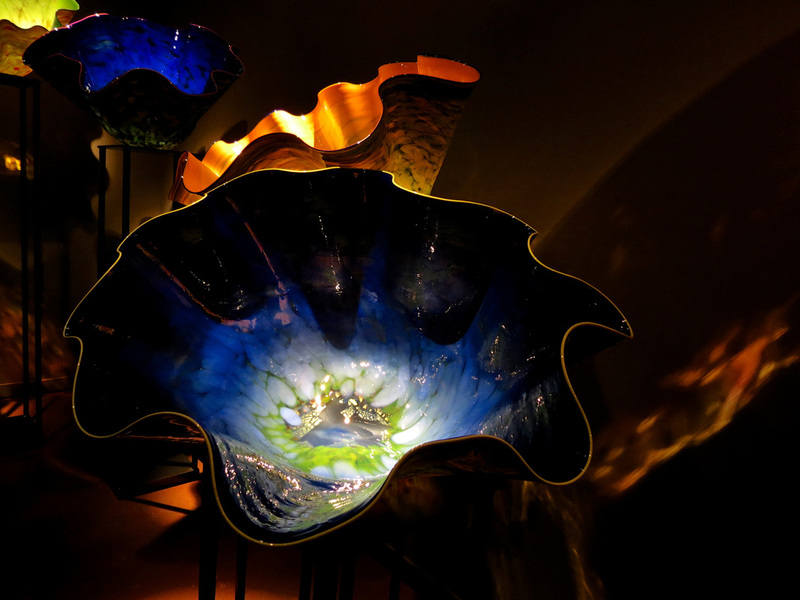 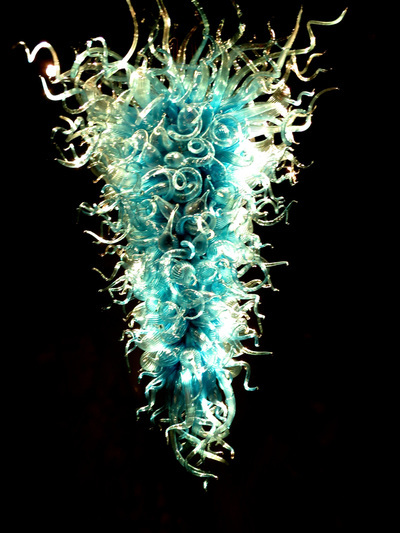 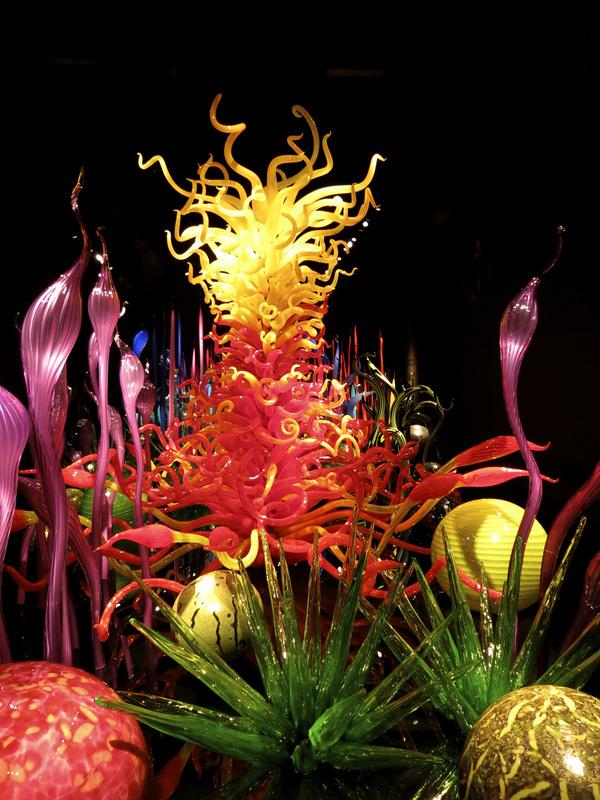 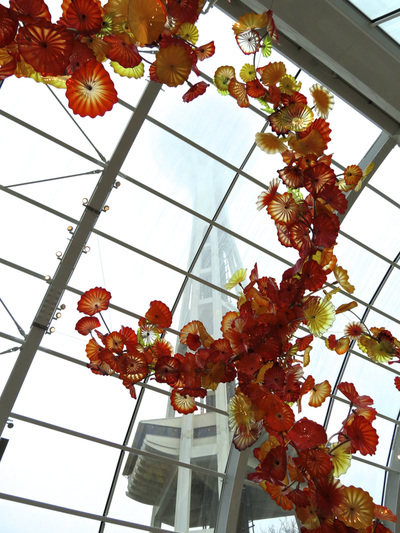 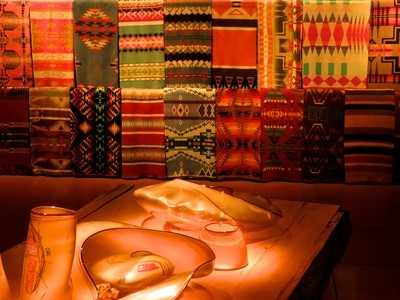 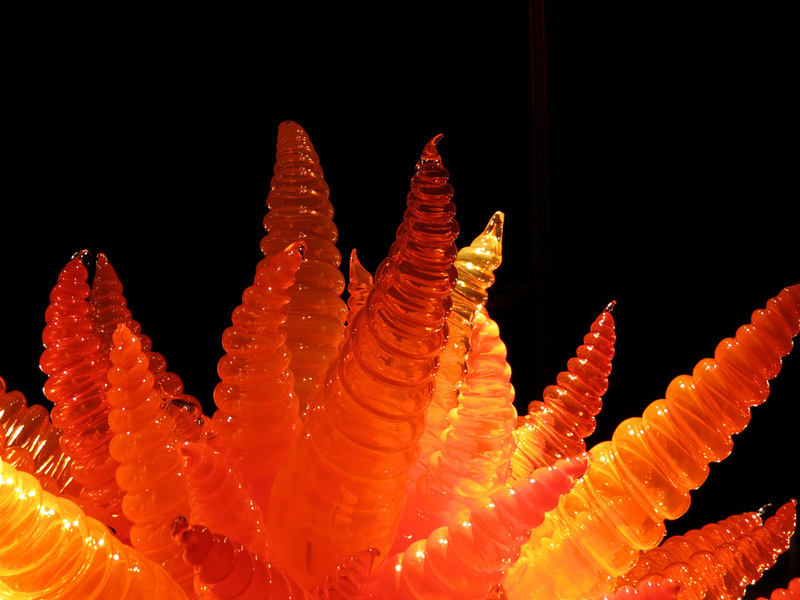 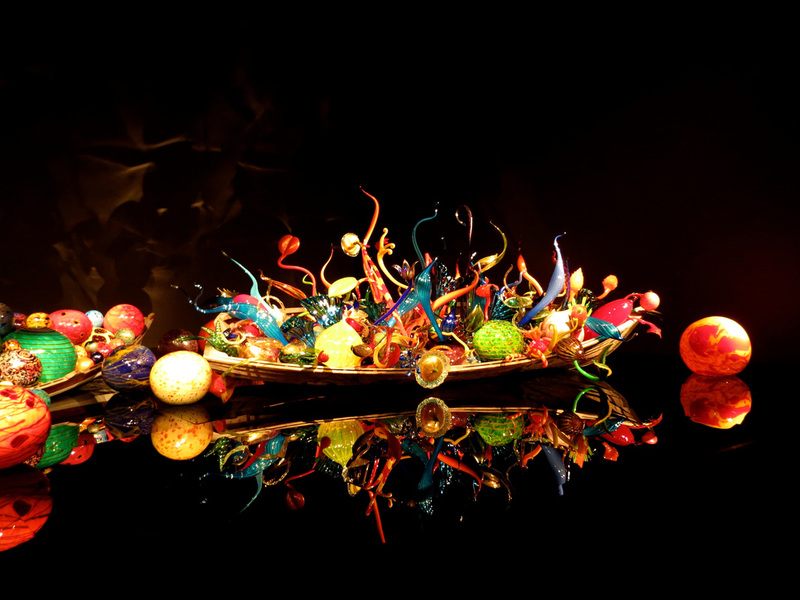 It houses a spectacular collection of the glass works by Dale Chihuly. 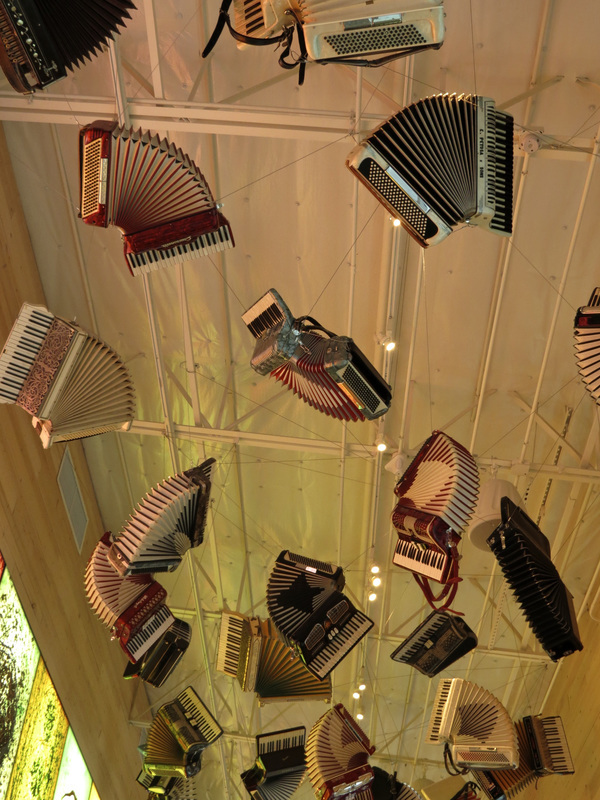 This museum has a number of rooms indoors, a cafe that is open to the public without admission tickets, a glass covered exhibit, and an outdoor garden. 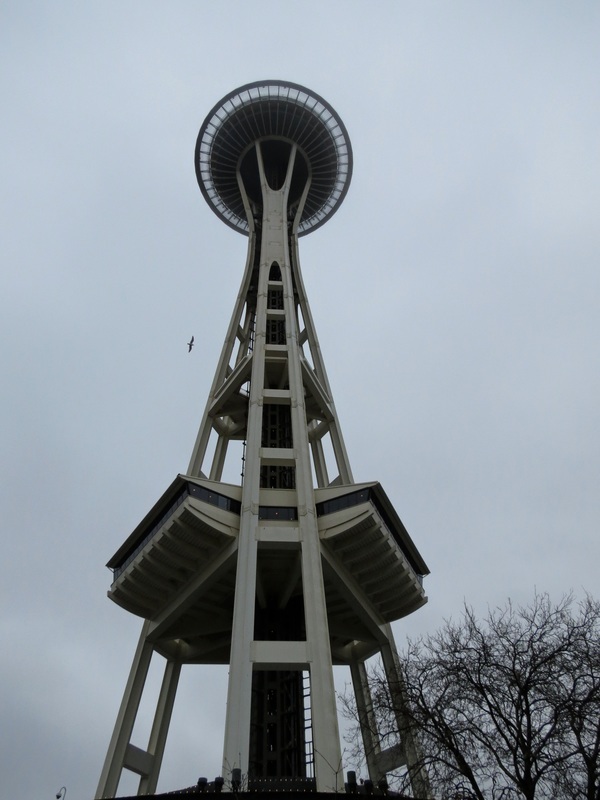 On this day, the Space needle was in the fog, and barely visible.